Surely there cannot be anyone worth knowing who doesn't pop over to A History Of Dubious Taste at least once a week to participate in the marathon series that is The Chain? 'Tis perhaps one of the finest things to be found anywhere on t'internet. 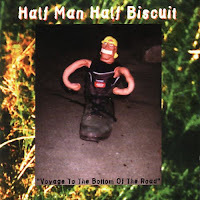 Half Man Half Biscuit seem to pop up quite frequently, which is not terribly surprising seeing as they've written songs about pretty much every facet of daily life. Every year, around about this time, the Mercury Music Prize is awarded. As you will probably know by now, this year the prize was scooped (that’s what you do with prizes, you scoop them, apparently) by grime artist Skepta for his 'Konnichiwa' album. Almost immediately afterwards, social media was awash with people tripping over themselves to state that this is an artist and album they’ve been into for ages, how they they’ve been predicting he would win to anyone who cared to listen, the underlying, unspoken boast being how cool they are, how their finger is bang on the pulse of contemporary music. This generally happens every year (excluding the year M People won, of course) and in the past I’ve doubtless been guilty of it myself. I think there’s a direct correlation between my waistline and my interest in appearing cool, by which I mean as the former has expanded so the latter has waned. By which I mean I’m at an age where being cool no longer interests me. I have never knowingly heard anything by Skepta. I’ll probably check out the album to see what the fuss is about. Maybe. Sometime. When I get round to it. But every year, around about this time, I’m reminded of a song by a band unlikely to ever get nominated for the Mercury Music Prize, not because they’re not very good (they’re actually nothing short of brilliant) but because they are viewed by many as a bit of a 'joke' band. 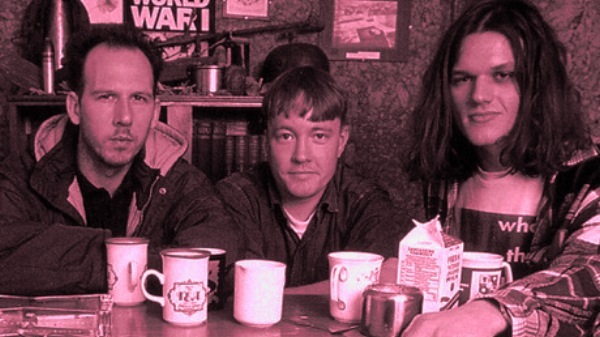 The song I have in mind is Paintball’s Coming Home, specifically a version they performed on Andy Kershaw’s radio show which references both the award and the band’s slim-to-non-existent chances of winning it (Kershaw once described them as “the most authentic English folk group since The Clash”). The lyrics to this version are so different to the version which featured as the closing track on their 1997 'Voyage to the Bottom of the Road' album (which makes no mention of the award), that I thought I’d post both. Thanks Jez. And out of interest, did you ever get around to listening to that Skepta album? Have never heard the Kershaw version.